AWAIT FURTHER INSTRUCTIONS, a darkly monstrous tale of tyranny and television, will start a five-week shoot on Oct 5 at GSP Studios’ studio facilities in York. Produced by Jack Tarling of Shudder Films and Alan Latham of GSP Studios and directed by Johnny Kevorkian (The Disappeared) from a screenplay by Gavin Williams, the cast includes David Bradley (Games of Thrones), Sam Gittins (The Smoke), Holly Weston (Howl), Kris Saddler (The Hour), Neerja Naik (Hackney’s Finest) & Grant Masters (Silent Witness). Key crew members include: Annika Summerson (DOP), Nina Topp (Production Designer), Dan Martin (Special Effects) & Ben Louden (VFX). Descending into terrified arguments, they turn on the television, desperate for any information. 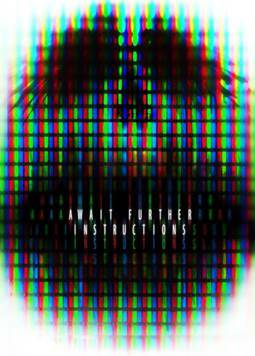 On screen a message glows ominously: 'Stay Indoors and Await Further Instructions'. As the television exerts an ever more sinister grip, their paranoia escalates into bloody carnage. Kevorkian commented: “I want to create a pressure cooker atmosphere, which ultimately explodes on screen! By the end of the film we’ll be shooting mostly handheld, really ramping up the pace with lots of camera moves to create an unstoppable climax to match the extreme situation”.